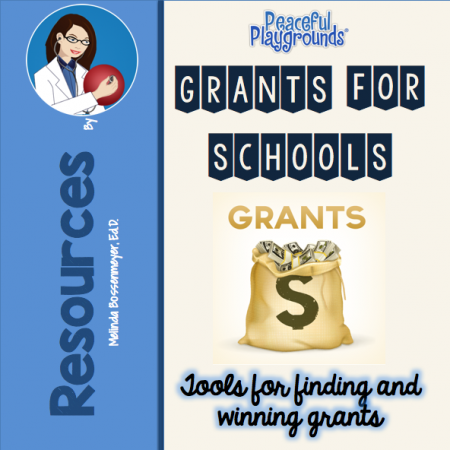 Peaceful Playground has numerous resources to assist you in writing your school playground grants. 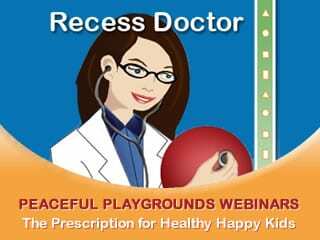 Are you planning to include Peaceful Playgrounds Recess Program in a Grant Proposal? Below are some items to include in the grant. The Peaceful Playgrounds Program Kit includes several activity guides, rule books, program overview video, problem-solving strategies, and permanent game and activity designs painted on the blacktop. Peaceful Playgrounds unique games are created using our easy-to-use playground stencils. An ideal program to assure funding of your school playground grants and a (PEP) physical education grant. Add the Equipment Package to fully implement the Peaceful Playgrounds Program. Grants support the implementation, evaluation, and dissemination of evidence-based community preventive health activities. Playground markings are a popular intervention strategy for childhood obesity. A grant is a monetary award given by a government agency, foundation, corporation, or other entity to another body in order to plan, implement or operate a particular program or fund a particular project. Learn how to get your playground grant funded. Now available in our membership area. Don’t miss this opportunity to hear practical advice from an experienced and successful educational grant writer. Dr. Bossenmeyer’s grant writing has secured more than $10 Million in funded educational grants. Visit our Online page to register for this training! Ideal templates to use for Company or Foundation Grants. Download a copy of our Program Grant Writing Templates and get a head start on writing a successful proposal for implementing the Peaceful Playgrounds Program in your own school. 4 Winning Grants and 3 templates for writing a Peaceful Playgrounds, Fundamental or We Count Pedometer Walking Program Grant. 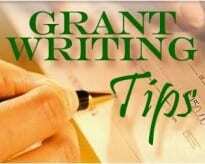 Please enter your information below to access your FREE Grant Templates. Looking for more information on grants and resources? Check the Grants Clearing Houses below or sign up for our free monthly Peaceful Playgrounds Grants Newsletter which are full of current funding opportunities. Grants 4 Teachers Your complete online resource for information related to K-12 grants. They focus on the needs of teachers, particularly K-12 educators. Their goal is to help teachers save time and money by maximizing their online experience. eSchool News online This online version of a monthly magazine contains a grants section with regularly updated grant, scholarship, professional development, and other funding opportunities for both educators and students. Grants.gov Allows organizations to electronically find and apply for competitive grant opportunities from all federal grant-making agencies, and encompasses over 900 grant programs offered by the twenty six Federal grant-making agencies. It streamlines the process of awarding over $350 billion annually to state and local governments, academia, not-for-profits, and other organizations. SchoolGrants A collection of resources and tips to help K-12 educators apply for and obtain special grants for a variety of projects. The site offers fundraising ideas, sample proposals, grant writing tips, and scholarship information. Chronicle of Philanthropy A useful free feature on this site is the “Deadlines” section. On the left side toolbar under “Features,” click on “Deadlines.” You can then search for open funding opportunities by topic area such as, “children and youth” or “community health.” The results of your search provide you with a list of open grants, a short description, their deadline, and a link to their web site. Grantsmanship Center The Grantsmanship Center has a state map that allows you to search for grantmaking foundations and community foundations in your state. Search results provide direct links to foundation Web sites.